Dr. Gleeson is Professor of Neurosciences and Pediatrics at UCSD, Investigator with the Howard Hughes Medical Institute. His goal is to understand the genetic basis of diseases such as mental retardation, epilepsy and autism and develop new treatments. The lab has sequenced a cohort of over 3000 patients with recessive or de novo causes, one of the largest in the world. With this data, the lab has uncovered over 50 causes of disease, and determined that many such conditions previously thought untreatable have potential points of treatment. Dr. Gleeson received his M.D. degree from the University of Chicago, Pritzker School of Medicine. He completed a Residency in Pediatrics and then a Clinical Fellowship in Neurology at Children’s Hospital, Boston. Following this clinical experience, he completed a Research Fellowship at Harvard Medical School. 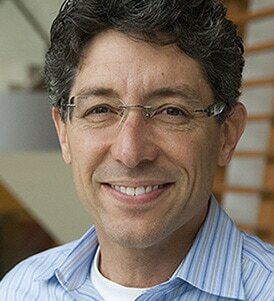 His awards and honors include being named an Investigator for the Simons Foundation Autism Research Initiative, the Klingenstein Fellowship Award in the Neurosciences, the Searle Scholars Award, and the Burroughs Wellcome Fund Clinical Scientist Award in Translational Research. Dr. Gleeson was named a member of the Institute of Medicine in 2013.